Location: Broakoak fishing lakes -Brotheridge Green Nr Upton on Severn. 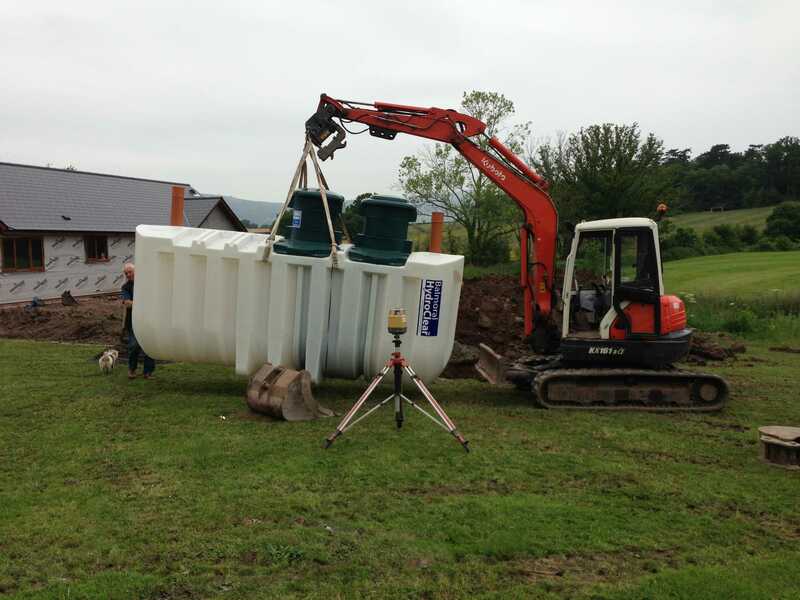 RMS was called in to undertake the installation of a new septic system to support the fishing lodge buildings. The trenches for the pipes linking the buildings to the treatment plant were excavated using the chain trencher to falls according to current building regualtions. A whole was excavated to depth determined by tank dimensions and local terrain with the guidance of a laser level. 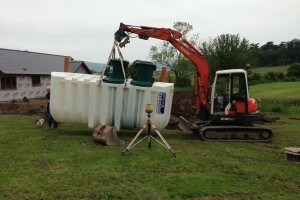 The treatment plant, a Balmoral Hydroclear 12 person tank was lowered in onto a dry mix concrete base and back filled with low slump concrete whilst filling the tank with water simultaineously. In this case the hole was backfilled with concrete until the top of the tank was covered and the remainder of the hole filled with soil.